The variety of safes available can be overwhelming, but at Firstline Locksmith, we can assess your needs and help you make the right choice. Staffed by a team of qualified technicians that can answer all of your safe questions, we are committed to providing you with the safe that is right for your unique needs. Determining the right size, fireproof rating, and security rating is vital to protecting your valuables. 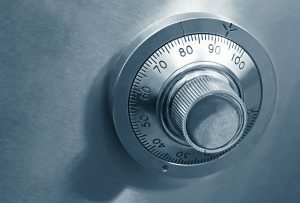 With more than two decades of experience installing, repairing, gaining entry into safes, and advising customers on safe purchases, our experts will take the time to explain options that fit your needs and budget. At Firstline Locksmith, our skilled safe and vault locksmith technicians can meet all of your safe and vault service needs. 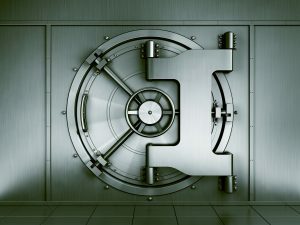 We service all safes and vaults, from small residential document safes to large bank vaults. Whether you need a new safe installed, repaired, or opened, we are the locksmith experts you can rely on. Our safe and vault services include: gaining entry from lockouts, combination changes, repairing, installing, moving, changing batteries, and changing locks. We offer emergency locksmith services on weekends or nights for no additional cost. Some of the brands we service, include: Allied Safe & Vault Co, American Security, Amsec, Archival Storage Vaults, ASSA ABLOY, Barska, BOOIL, Brinks, Brown Safe, Browning, Cannon, CMI Safe Co, Dean Safe, Eagle Safes, East King Safe, Falcon Safe, FireKing, First Alert, Fort Knox, FunVault, Gardall, Gardex, Hamilton Safe, Hayman, Hollon, Homak, Honeywell, INKAS, Iron Man, Leeco, Liberty, LockState, LSDA, Major, Meilink, Mesa, Mosler, Mutual, Onity, Perma-Vault, Phoenix Safe International, Phoenix, Protex, Sentry, SnapSafe, Socal Safe, Stack-On, Sturdy, Rhino, Tidel, Tracker, Vault Structures, Viking, V-Line, and most other safe manufacturers.